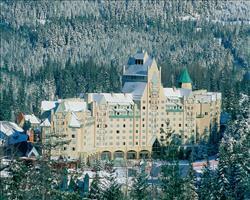 It's hard to go wrong when you kick start the New Year skiing in Canada - and the celebrations are every ounce as good. Backcountry that'll blow your socks off, welcoming locals and stonkingly gorgeous National Parks are part and parcel of a ski holiday here. Only problem is, next year will have a lot to live up to. The classic ‘catered alpine chalet' doesn't crop up much in North America, possibly because eating out generally costs less than in the Alps – truth be told, you won't want to miss the restaurants over here anyway. 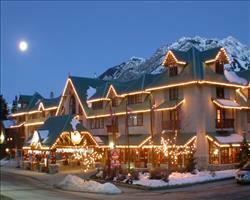 Take the Alpine feel to its extreme with the seclusion of the Banff Rocky Mountain Resort Condos. It's a cosy enclave of chalet-style condos set just outside the main town, though you're not far from the annual fireworks and sights of Mt. Norquay's torch-lit parade on New Year 's Eve. Alternatively, set a slower pace in chilled-out Jasper from the Fairmont Jasper Park Lodges, burrowed deep in the National park. Kitchen facilities may be basic, but who needs an Aga when they're near restaurants, a sushi bar and only 5 minutes' drive from the town-centre? 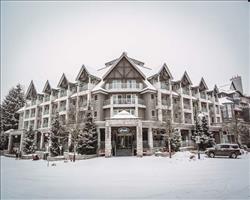 Accommodation doesn't stop here – have a look at our ski hotels throughout Canada for more choice of rooms, facilities and locations. 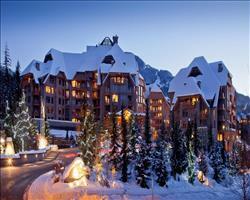 From world famous chateaus to cosy mountain lodges, there's no shortage of ski hotels in Canada, each with its own way of welcoming in the New Year. There are some true icons among Canada's ski hotels:Fairmont Banff Springs' New Year Gala Ball is the most glamorous evening this side of the Royal Opera House, with past years including a 4 course dinner, orchestra and kid's party. 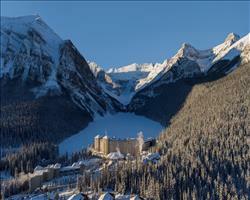 The Fairmont Chateau in Lake Louise sits like a castle by the frozen lake that the resort's named after, and among other things traditionally holds a grand buffet in its Victoria Ballroom. 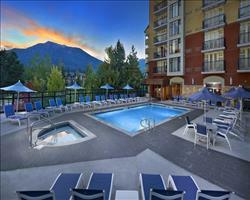 For the same level of lux in Whistler, you'll find the Four Seasons within easy distance of the famous New Year's Eve Fire and Ice Show. Over in Jasper National Park, we love the value of Chateau Jasper, where packages often come with complementary courses in local restaurants. Avid skiers know what to expect from the Fernie Slopeside Lodge; it's right on the slopes, and a matter of moments to the lifts. 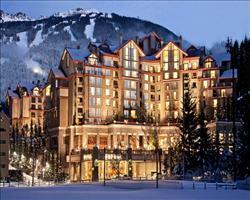 Over in Kimberley, you can also ski from the door of Trickle Creek Lodge – right out onto the sunniest slopes in BC. Everyone does New Year differently, and if you're more serious about your time-honoured traditions, self-catering promises the freedom to eat whatever, wherever and whenever you like. If you can't decide between the flexibility of self-catering or the top notch facilities of a hotel, many of our lodges are connected to hotels for the best of both. Even cosy log cabins set away from the town can have access to a huge variety of facilities, like swimming pools, sports centres and restaurants. 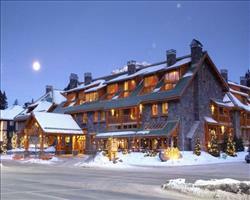 The Lizard Creek Condos, for example, are laid-back Fernie at its best, and you can literally walk out onto the slopes. 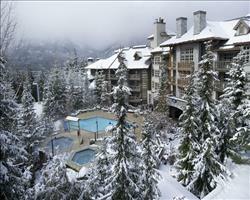 Alternatively, what might just be the best resort in the world, Whistler's ski-out Blackcomb Village Condos or Tantalus Lodge, are close to not one, but two of the main gondolas – just try not to get caught out in your slippers on them! 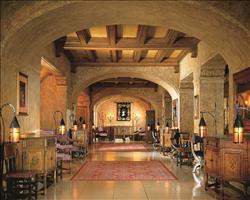 Check out condos and lodges in central locations to take your fill of town events. Whether you're wrapping up warm for the outdoor events or dancing to the classics at HooDoo, the Inns of Banff Apartments are within easy reach of all the local happenings.